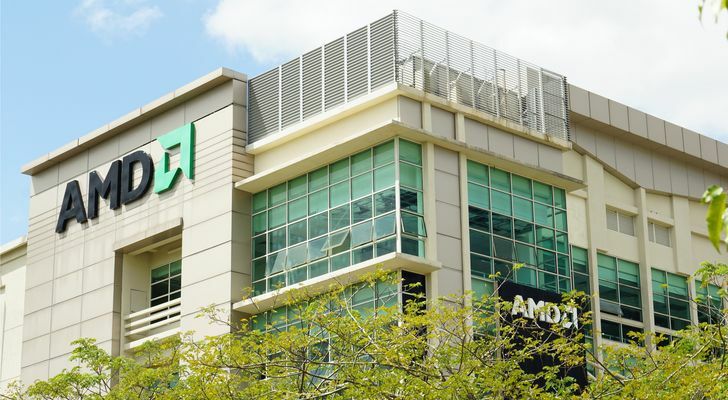 Advanced Micro Devices Inc (NASDAQ:AMD) is a boutique chipmaker (relatively speaking) that rose 82% in 2018. Granted, it’s off a whopping 40% in the past three months, but that’s still a pretty amazing number. That certainly beats other chipmakers handily. Micron Technology (NASDAQ:MU) hit was off more than 20%. Intel (NASDAQ:INTC) only has its nose above the water because of its dividend yield. The major players are having a tough go of it. But in the midst of the chip carnage, AMD is growing its revenues, margins and earnings. What’s more, 2019 is going to be even better. Not for the entire industry, but for AMD. However, even as MU stock was getting pummeled in December due to concerns about the memory chip market in 2019, Micron’s CEO was speaking about how bullish he was regarding the opportunities in the chip market. And this is certainly the case. The key reason is the Internet of Things (aka, IoT). This is the game-changer that is helping power AMD’s growth and will also be the engine to restart the broader chip market. IoT encompasses a lot things. Ten years ago, it was still a concept about having smart devices and appliances that could all be networked together and allow people to turn up their thermostat from their phone, or watch delivery people drop off packages or have your car realize that it’s time for an oil change and schedule the appointment for you. It also gets into voice command technology and other smart sensors, as well as driverless cars. IoT really exploded as the mobility revolution took off. As processors and components got smaller, sturdier and more powerful, it meant that they could be used in significantly more devices. AMD stock has been a big beneficiary of this trend. Its long-time top customers are gaming companies and in recent years, it has also added important appliance customers. Remember, AMD is also sporting a $19 billion market cap where many of its competitors are orders of magnitude larger. That makes it easier for AMD to navigate these tricky waters better, which has had an obvious benefit. It also means that there is less expectation that it must carry the standard for the industry. It is a significant player in the sector, but it has a lot more room to navigate than some of the larger competition. And that’s a very good thing in this kind of market. Because there’s a real, direct connection to consumers with its gaming consoles and smart appliances — as opposed to making server equipment or telecom equipment — it can lean on the consumer more than many of the bigger chipmakers. Article printed from InvestorPlace Media, https://investorplace.com/2019/01/advanced-micro-devices-stock-is-in-good-shape-for-2019/.